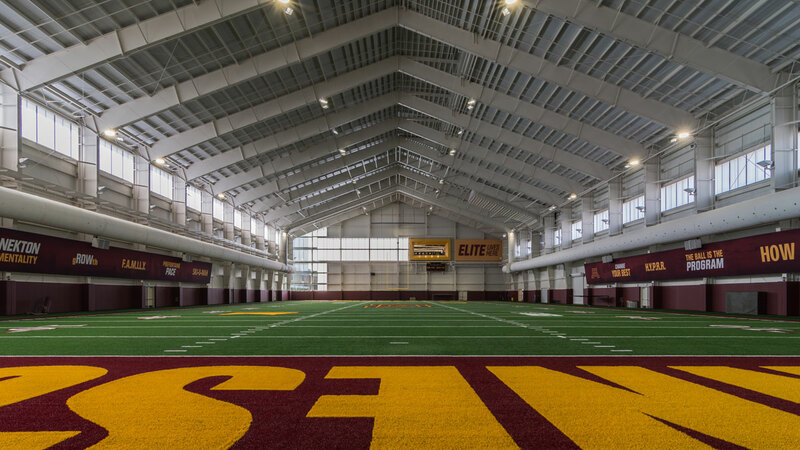 M3Sixty supplied material from a number of our manufacturers on this 165 Million dollar facility. 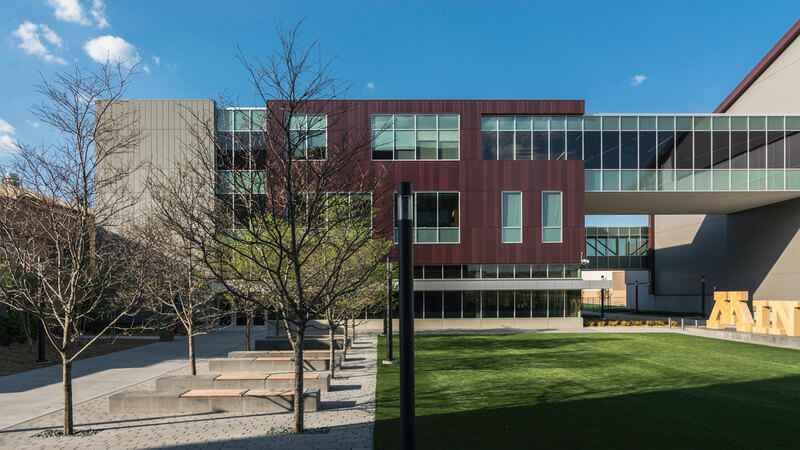 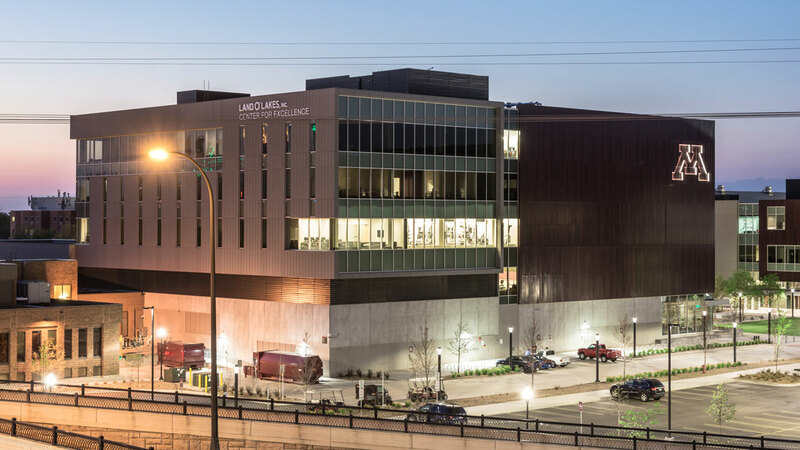 60,000 square feet of Dri-Design panels made up the majority of the exterior skin on two of the buildings. 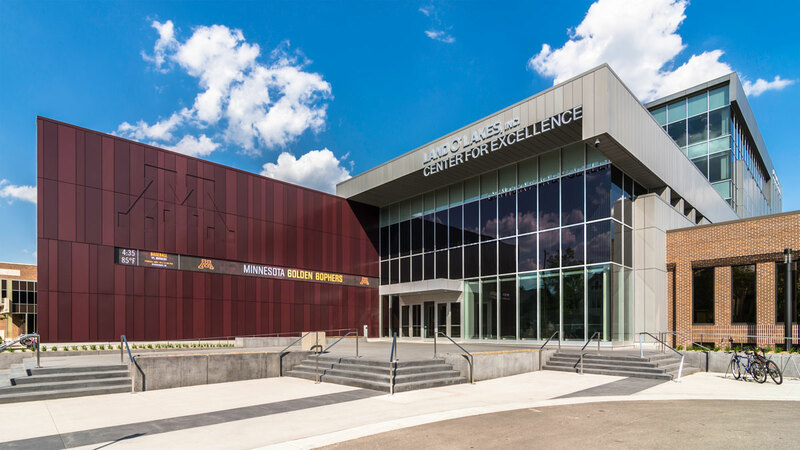 40,000 SF is painted aluminum and 20,000 SF is VM Zinc. 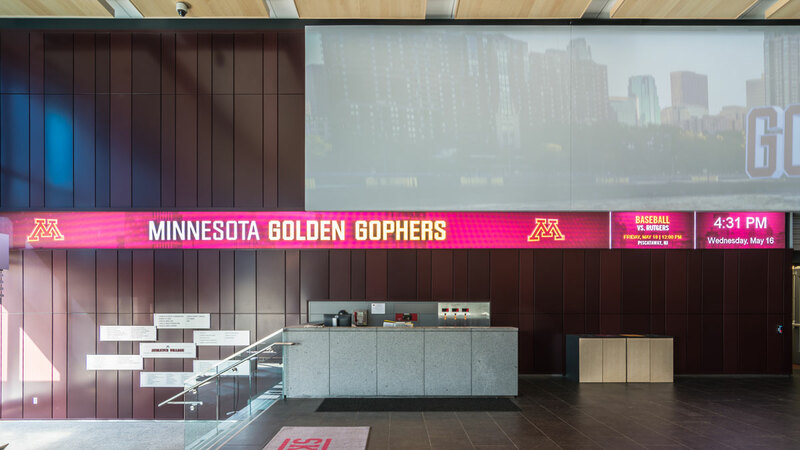 Dri-Design created a custom “M” in 2 locations that was recessed into the panel system and included a track for LED lighting. 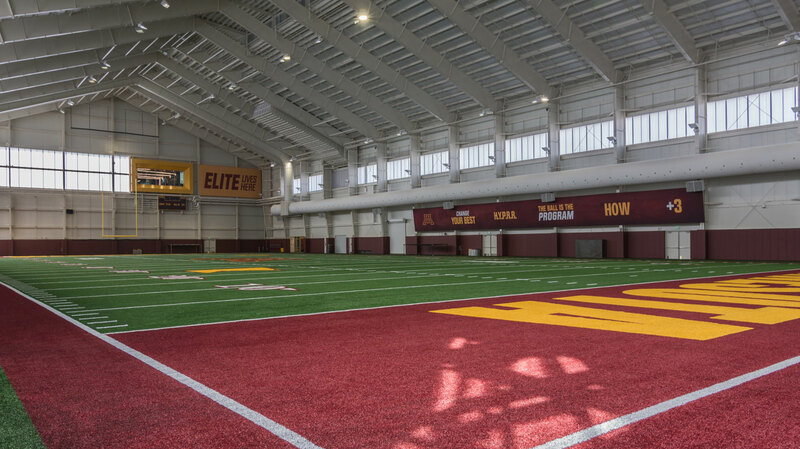 90,000 square feet of Centria Versapanel and 27,000 square feet of Centria Versawall enclosed the Football Practice facility. 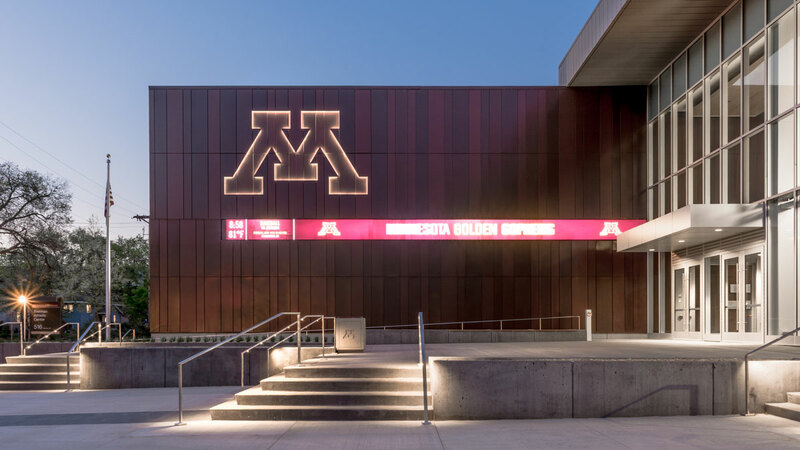 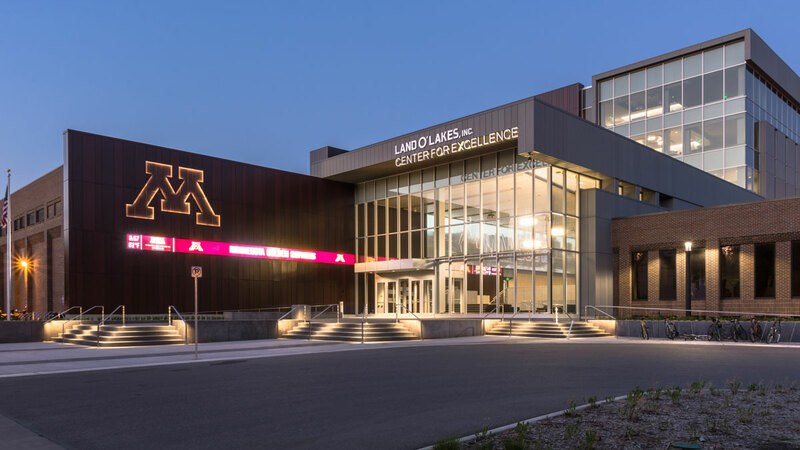 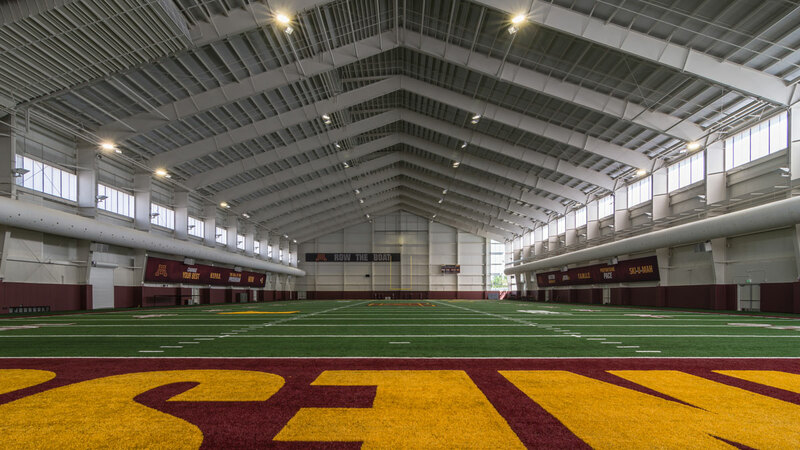 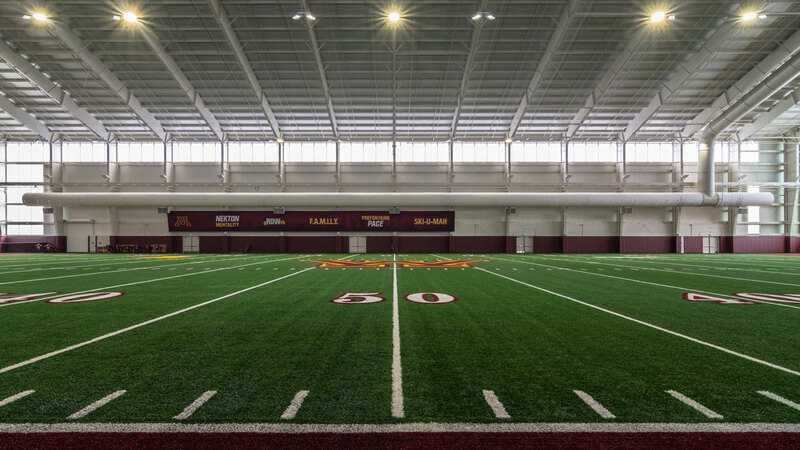 10,000 square feet of CPI Daylighting was installed to bring natural light into the Football Practice Facility while eliminating any glare from the sun. 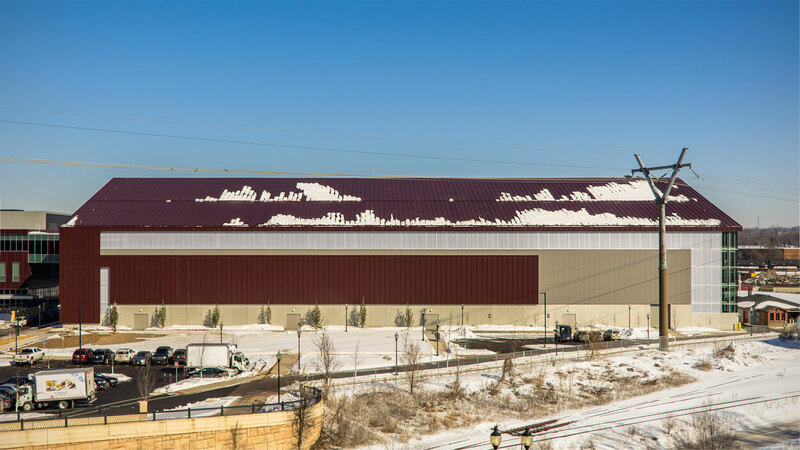 1,500 square feet of Construction Specialties Louvers were supplied as well. 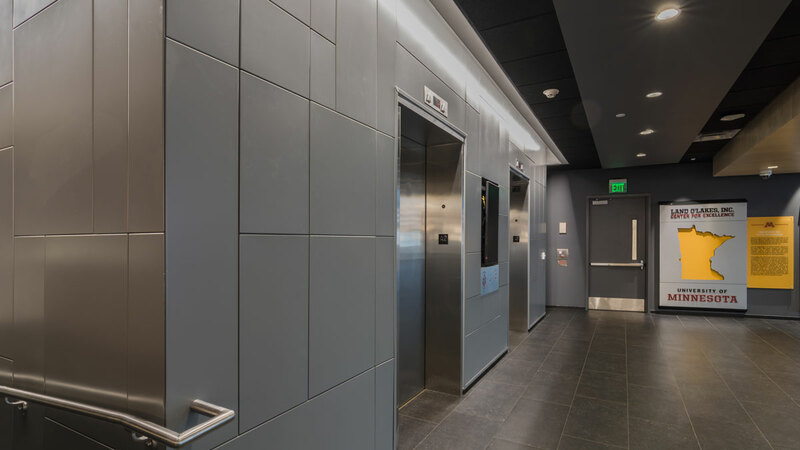 Pecora sealants were used by several contractors on the project.